WILLEMSTAD - The claim filed by Dynaf (one of the companies that participated in the public tender for the temporary production of electricity for Aqualectra) has been rejected in court today. The Court considered that Aqualectra treated tenderers equally and in accordance with the so-called transparency principle. The Court of First Instance held that this case did not prove that Aqualectra acted contrary to the principle of equality because it cannot be established that the utility company had already negotiated with one of the providers beforehand. Aqualectra motivated its decision not to award the contract to Dynaf in a letter. This motivation shows that Aqualectra has criticized Dynaf's offer in various parts. 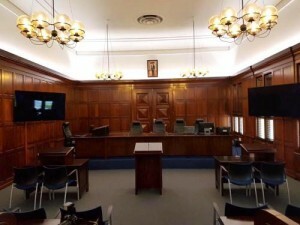 The Court finds that Aqualectra has the right to have criticism on Dynaf and that the utility company can reasonably conclude that Dynaf should not be awarded the contract. The fact that the price offered by Dynaf was significantly lower than the price of another provider does not affect it. The Court considers that in so far as it should be assumed that Aqualectra had to organize the public tender differently, Dynay had to complain earlier and not wait until it found out that they were not awarded the contract.